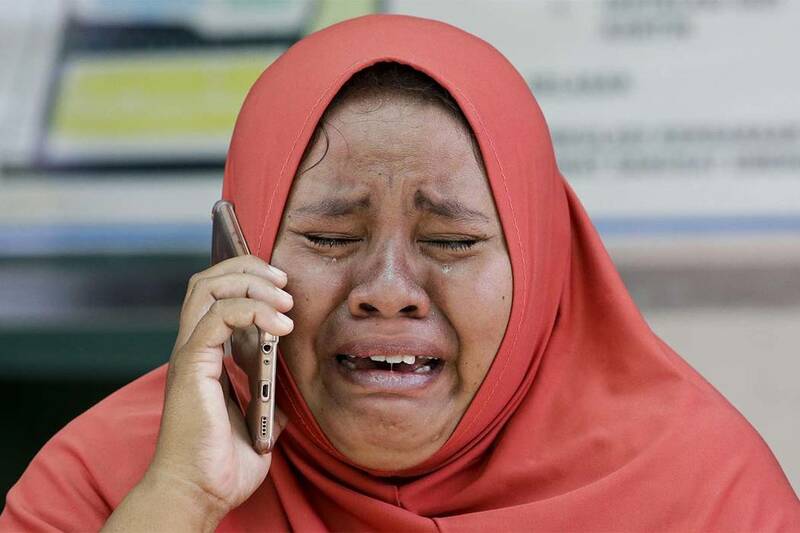 Nita Hamaale, whose sister works at the hotel and is missing, told AP: "I hope that the rescue is quick to find my sister and the other friend because they are staff of Mercure Hotel. 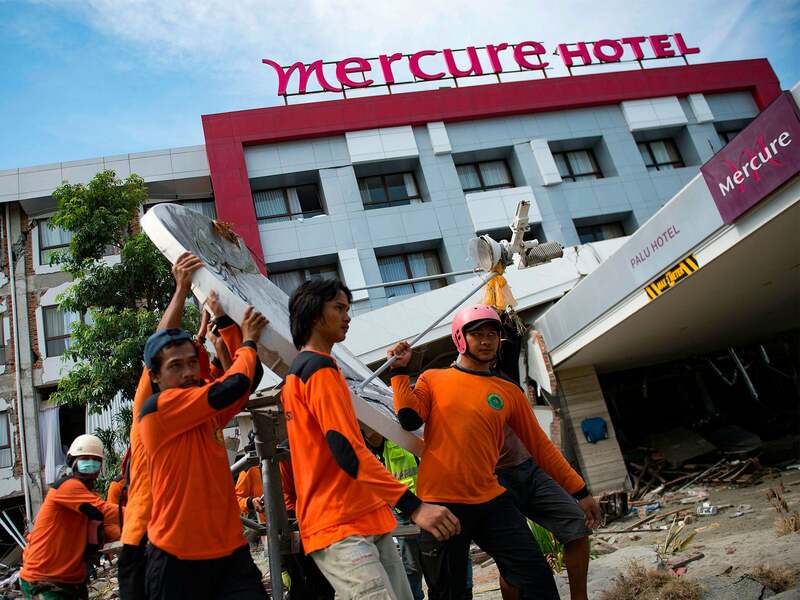 PALU, Indonesia — A French rescue team said Thursday it has detected a person believed to still be alive under the rubble of a hotel in Indonesia’s central Sulawesi, nearly a week after it was hit by a powerful earthquake and tsunami. Hundreds of the injured and other survivors lined up on the tarmac of Palu’s badly damaged airport, hoping to escape aboard military aircraft. 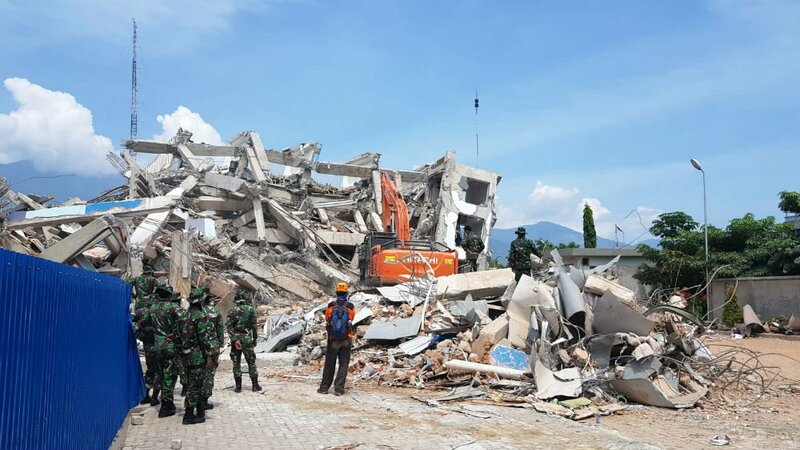 National disaster agency spokesman Supoto Purwo Nugroho said most of the 1,424 confirmed dead had been buried.The death toll is expected to rise as rescue crews dig and comb through debris after being slowed initially by impassable roads and other damage. PALU, Indonesia -- Indonesian marines are pouring into the area devastated by an earthquake and tsunami to help with rescues. But six days after the disasters struck, there were still glimmers of hope on Thursday. A French rescue team said it had detected possible signs of life under rubble in the hard-hit city of Palu, but there was no immediate confirmation of a survivor. 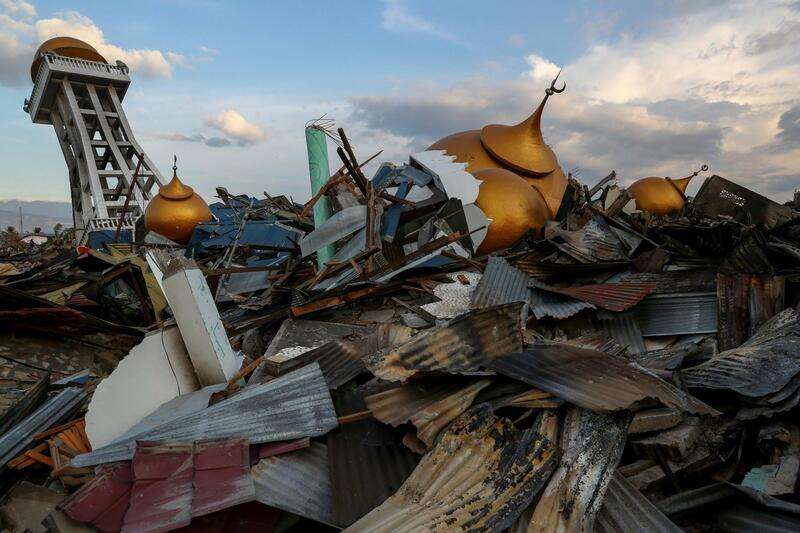 Hundreds of victims' bodies are still believed to be buried under debris in Palu and surrounding towns, and hope has dwindled in recent days of finding anyone else alive. He said his team lacked the heavy machinery to try and free the person before nightfall on Thursday, but that a new effort would be launched on Friday morning.